King of comedy Alibaba alongside Yaw, Lolo, Lepacious Bose, MC Abbey were among the number of celebrities who attended the just concluded “Aunt Landa Market Square Overflow” which held on the 25th of February, 2017 at Bibby Crest Event Centre, Ajah, Lagos. 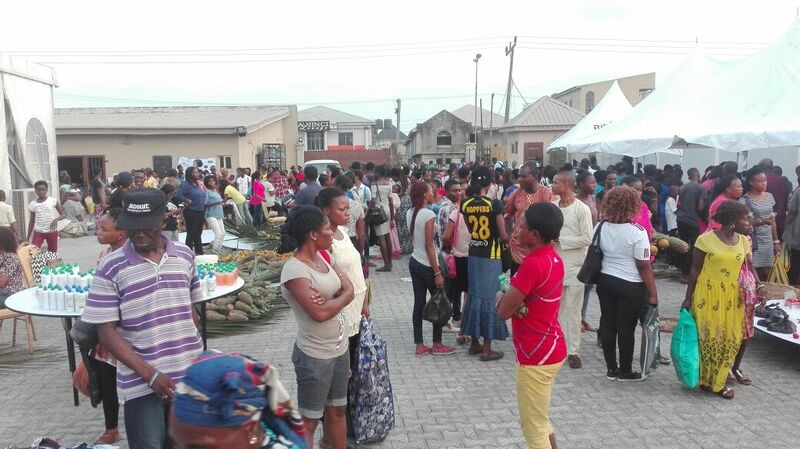 Put together by love doctor, Yolanda George, fondly called Aunt Landa, and hosted by Remscomedian, the market square was aimed at putting smiles on the faces of over 1,500 Nigerians by empowering them and providing their basic needs. 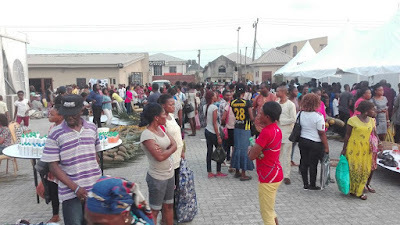 The event was divided into segments; skill acquisition training, which had attendees learn any craft of their choice and the market square, which gave room for buying and selling with the Aunt Landa currency of love. During the skill acquisition segment, the attendees were taught how to make bags, leather shoes, catering, make-up, laptop repair, decoration, amongst others. The fair chairman, Alibaba, then instructed that those in need of a sewing or pepper grinding machine should write and drop their names in the raffle boxes made available. The raffle was drawn and 10 people were gifted brand new sewing machines, while another 10 were gifted brand new pepper grinding machines, courtesy of Aunt Landa Bethel Foundation. Other celebrities who were at the Aunt Landa Market Square to show their support include Tuale, Babah Kay, Ankara Mega, R4C, Rev Paul Chikwem, and Princess Uvbi.